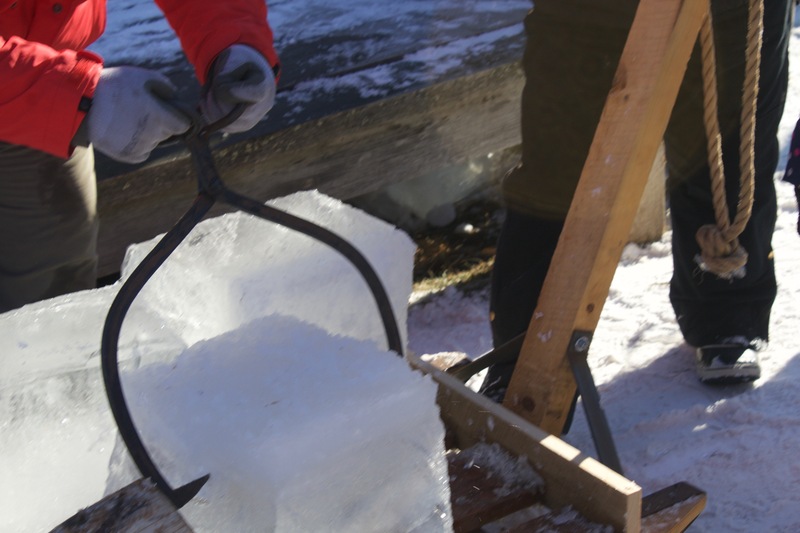 The March Mystery Tool is a pike pole. 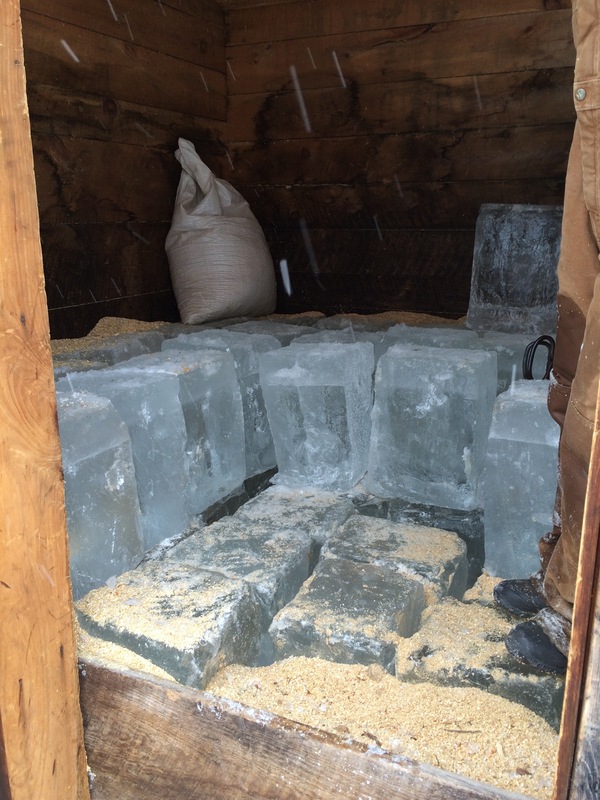 This was used in the ice business. 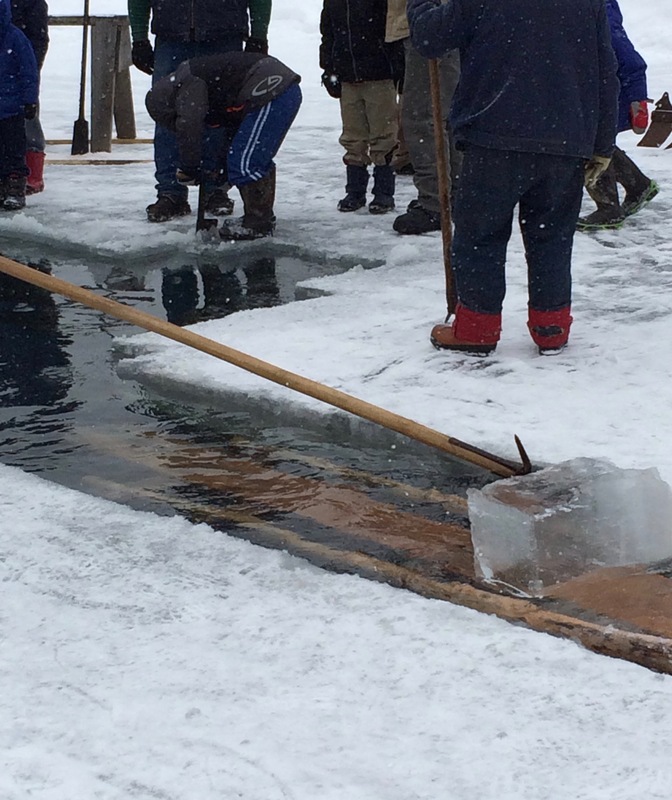 After the block of ice has been sawn, the pike poles are used to push the blocks to the ramp. 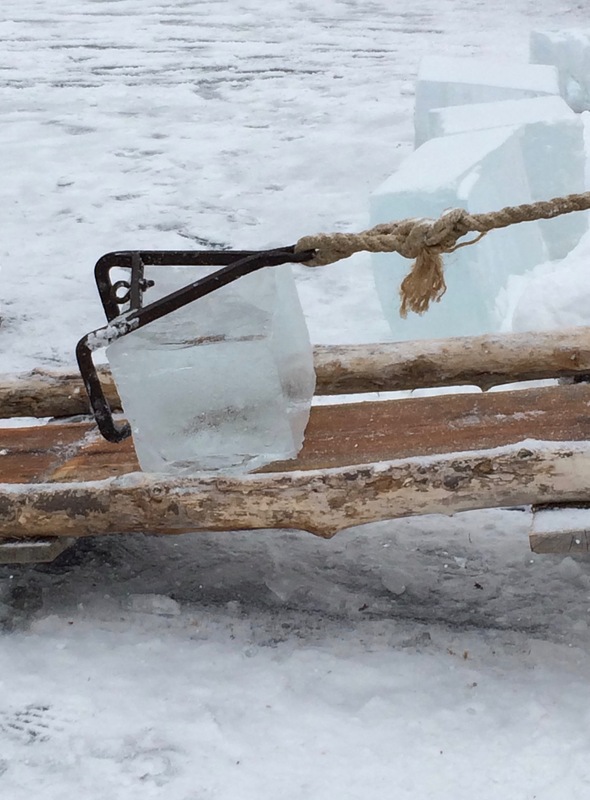 A grappling hook is attached, the block is pulled out of the water, and the ice tongs are used to get it to the vehicle, some type of wagon or sled, which will take it to the ice house for storage. Pike poles of various styles were used for other tasks as well, like logging. 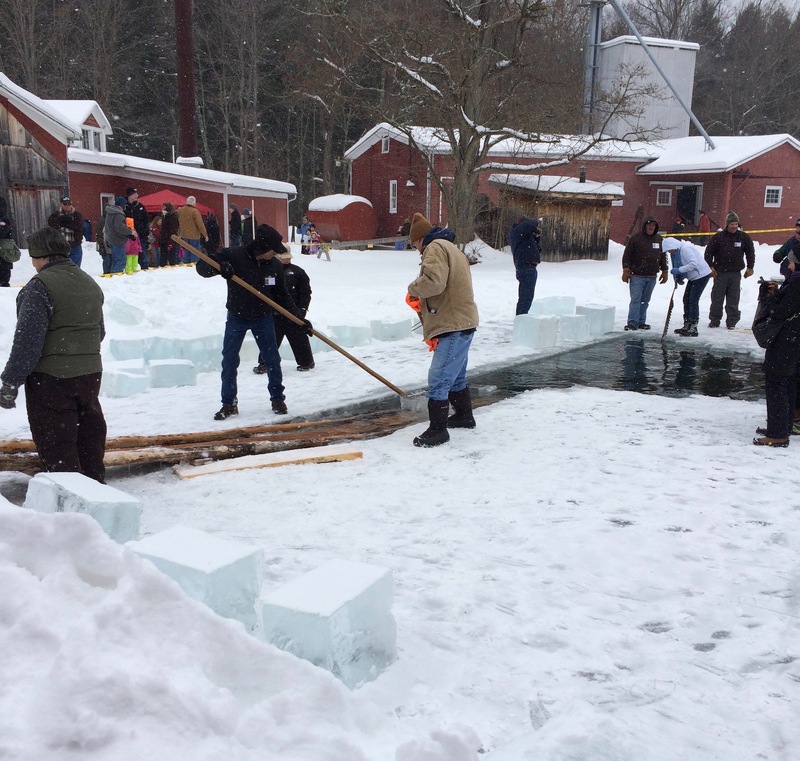 The following pictures are from the Hanford Mills Museum Ice Festival.